Temperatures are approaching 90. Humidity is up to 30%. (Mississippi would be jealous). We’ve done the dance of “we’re going….no we’re not”, so the morning is about normal. Normal “go to the grocery store to get something for lunch” (no cafeterias, no restaurants out here at the tanker base), normal preflight, set up for a dispatch…and read the paper. I have developed a comfort with the routine. Tags: aircraft mechanics, firefighting, planes, SEATS | Permalink. 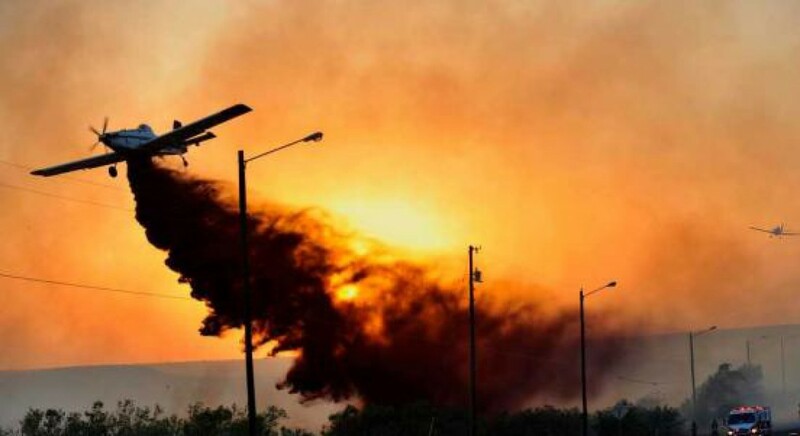 Tags: firefighting, Oregon, planes, SEATS, Single Engine Air Tankers | Permalink.